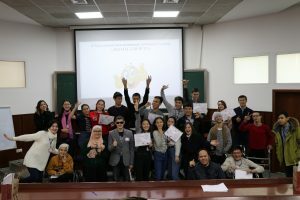 In honor of International Day of Persons with Disabilities, the Alumni Coordinator of South Kazakhstan Bibinur Zhamaliddenova ’15 (Aktau, Kazakhstan/ Madison, OH) and alumna Alima Abulatif ’16 (Kyzylorda, Kazakhstan/ Wasco, OR) organized the second annual Inclusive Debate Tournament “Debates for All” in Almaty, Kazakhstan. The first iteration of inclusive debates was organized by FLEX alumni during International Education Week in November of 2017. This year, organizers decided to broaden the scope to include more participants. Participants of the 2017 event were blind and visually impaired youth from the organization Zhiger. 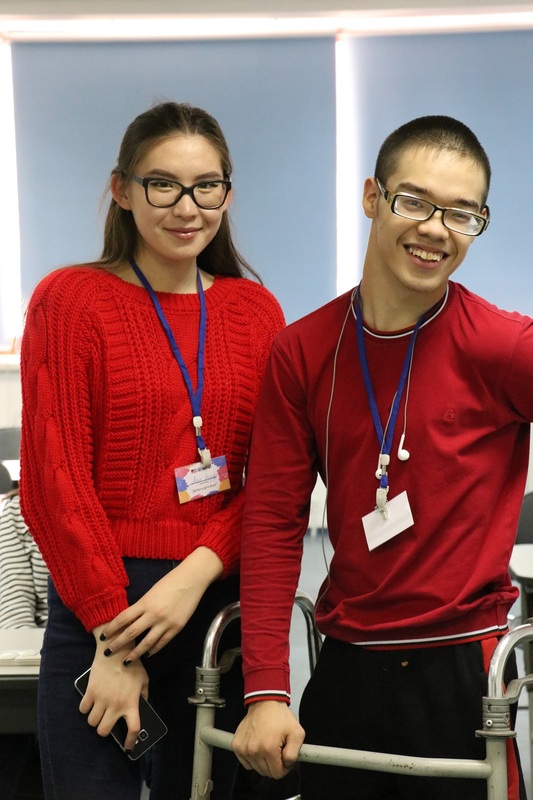 This year, in addition to participants from Zhiger, organizers reached out to other communities of people with disabilities living in Almaty, including the Association of Parents of Children with Disabilities and the Public Foundation Ak Zhol-M, a fitness center for children with disabilities. 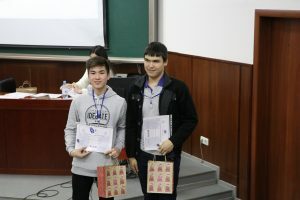 As a former coordinator of the Debating Club of the Kazakhstan University of International Relations and World Languages, Alima Abdulatif ’16 invited the coordinators of the debate clubs from the top universities in Almaty to judge the tournament and offer valuable feedback to the participants. 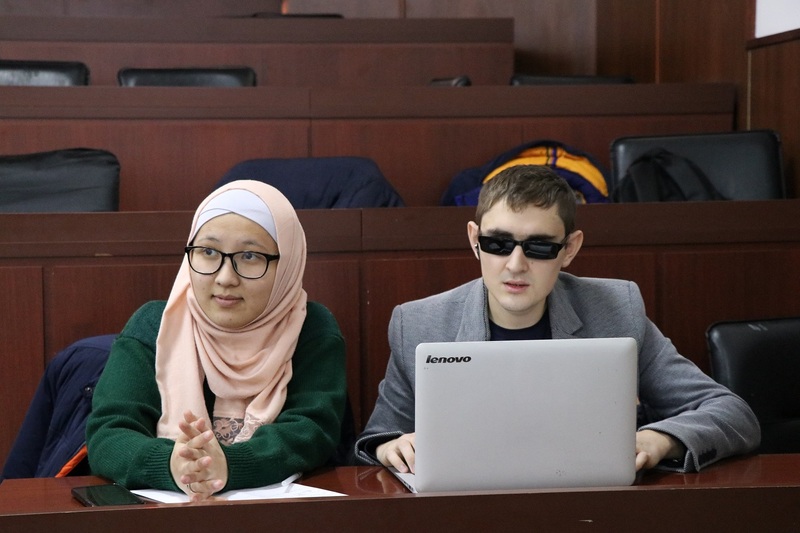 Through taking part in this event, the judges also learned about how to make the debating community more inclusive not only in terms of disabilities, but also age, gender, and religious expression. Eight community members with disabilities, three high school students, two FLEX Alumni, and three university students participated in the debates, while Debate Club coordinators from TURAN, KIMEP, SDU and KBTU universities served as the judges. In the beginning of the tournament, the participants and observers learned about the history of debates, its rules, and the American parliamentary format. Participants then debated on the value of laws recently proposed by the government of Kazakhstan. The tournament was a unique and positive experience for every single participant. The FLEX City Representative of Kyzylorda, Alfiya Dollores ’17 (Kyzylorda, Kazakhstan/ Steilacoom, WA), who came to Almaty to participate in the tournament left amazing and inspired by the project. She hopes to implement a similar project in Kyzylorda soon!